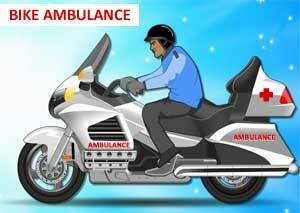 New Delhi: The Delhi High Court on Monday sought response of the AAP government on a PIL challenging its launch of bike-ambulance services for east Delhi on a pilot basis. A bench of Chief Justice Rajendra Menon and Justice V K Rao issued the notice to the Delhi government and the Centralised Accident and Trauma Services (CATS) and sought their stand on the plea by a lawyer who has contended that the project was not being manned by qualified paramedics. The court directed the Delhi government and CATS to file affidavits indicating the complete details of the scheme which was launched with the aim of providing quick pre-hospital medical aid in congested areas. The petitioner, Satakashi Verma, has contended in her plea that the decision to launch the First Responder Vehicles (FRVs) or bike ambulances was taken without carrying out proper research. Advocate Kamlesh Kumar, appearing for the petitioner, told the court that if trained paramedics are not deployed on the FRVs then the very purpose behind the project, which was launched on February 7, would be defeated. In her petition filed through Kumar, the petitioner has sought that “trained, young and energetic paramedics who have the requisite medical qualification and a valid license to drive a two-wheeler” be deployed to man the FRVs as against the proposal to use the existing cadre of Assistant Ambulance Officers (AAOs). Verma has contended in her plea that the existing cadre of AAOs do not have the requisite qualification that a paramedic ought to have. According to the petition, the FRV scheme of the Delhi government allegedly does not match international parameters and was not going to meet the requirement of patients in distress. Under the proposed scheme, the FRVs are to be operated by trained paramedics who will carry a basic first aid kit, medicines and other requisite items. “It is anticipated that portable oxygen cylinder, glucometer, LED torch, fingertip pulse oximeter, nebulizer, digital blood pressure apparatus, laryngoscope, adult and paediatric Ambu bags, masks, bandages, gauze and cotton rolls are among the medical equipment that the bikes will carry. In total the rider would be carrying around 25 to 30 kgs on the ambulance bike,” the petition has said adding that it would also be equipped with a GPS device. When the pilot project was launched, the Delhi government in a statement had said that CATS has purchased 16 bikes which are fabricated and medically equipped. It had also said that against the sanctioned funds of Rs 40 lakh, the project was completed in just Rs 23 lakh.